Google Android boss Andy Rubin and Microsoft's Windows Phone head Andy Lees have both publicly criticized Apple's new Siri voice assistant and questioned its usefulness. 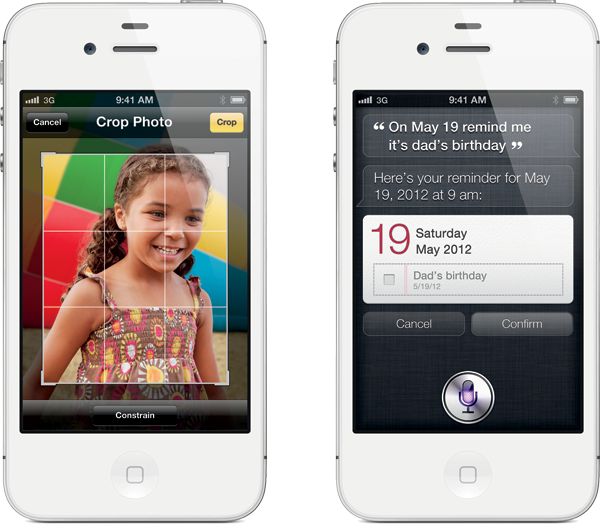 Apple announced Siri alongside the iPhone 4S, billing it as one of the most exciting features for the new handset. The Cupertino, Calif., company built the virtual personal assistant feature into its new phone after purchasing Siri for $200 million last year. According to a recent report, the Siri team at Apple is one of the largest software teams at the company. Siri's unique personality and sense of humor has even inspired the creation of numerous websites and blogs detailing its creative responses. Though initial reviewers have called Siri the "standout feature" of the iPhone 4S, Rubin and Lees don't appear to view it as much of a threat, based on comments they recently made at AllThingsD's AsiaD conference in Hong Kong. Your phone is a tool for communicating. You shouldnt be communicating with the phone; you should be communicating with somebody on the other side of the phone, he added. According to the executive, who is a former Apple employee, it still remains to be seen whether customers will take to talking to a phone and not another person. Well see how pervasive it gets, said Rubin. He did point out, however, that one of the co-founder of Android had worked on a cellphone speech company. Google itself has already built a measure of voice recognition functionality into Android, though the technology is not as advanced as Siri. On Thursday, Microsoft's Lees said that he didn't think Siri was "super useful," as reported by Engadget. He also touted Windows Phone 7's own voice recognition implementation as harnessing "the full power of the internet, rather than a certain subset," because it uses Bing for its voice search feature. It's unclear what exactly Lees meant by the comment, however, as Siri allows users to run searches on Google, Bing and Yahoo, in addition to providing access to a set of services, including Wolfram Alpha, Wikipedia and Yelp. According to the report, Lees implied that Microsoft would avoid having its users speak commands to their phones in public. While Apple's competitors may doubt Siri's usefulness, millions of customers have already voted with their wallets. During launch weekend, Apple sold a record 4 million iPhone 4S units. Company executives have said they are confident that the new device will set an all-time high for iPhone sales in the current quarter, which ends in December.